The FLeX 4.2 is a rather special Mini-ITX powered Media Center from P. Guerra srl in Milan, Italy. 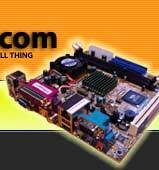 On one half of the chassis sits an Intel Core 2 Duo Mini-ITX motherboard. Everything is configurable, with a fully loaded system sporting a 2.33GHz T7600 Intel Core 2 Duo CPU, 2GB DDRII RAM, 750GB 3.5in vibration damped SATA HDD, 7.1 Audio, Gigabit Ethernet, Slimline DVD-RW and a choice of DVB (Satellite, Cable, Terrestrial) and Hybrid Digital/Analogue TV Tuners. HD-DVD, BluRay and Vista are on the way. 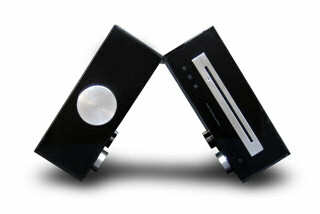 Two high quality audio amplifiers are mounted in the other side of the chassis. 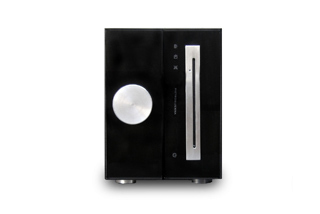 The amplifier will work without turning on the PC allowing it to be used with external audio sources through two gold plated RCA audio inputs, making it the ultimate iPod docking station. The ICEpower modules are made by Bang & Olufsen and can deliver up to 400W RMS with 4 Ohm loads or 200W RMS with 8 Ohm loads. 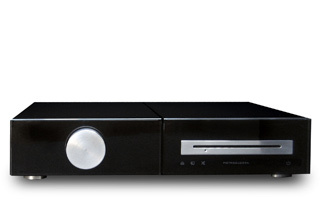 The Flex 4.2 can be bundled with an IR receiver and software allowing it to be controlled by a Beo4 remote controller, fully integrating it with Bang & Olufsen A/V systems. Pietroguerra's DynaLight technology analyses the ambient light conditions hundreds of times per second using sensors built into the case, dynamically modifying the tonal range of your screen ensuring the best picture regardless of room lighting. Most strikingly - the two halves of the flexible chassis are connected, allowing the FLeX 4.2 to be folded and repositioned without reconnecting any cables, transforming in shape from pizza box to cube format to suit your mood and impress your friends. The size of the system is 43 x 9.5 x 30cm when "flat" or 21.5 x 17.5 x 30cm when "folded". 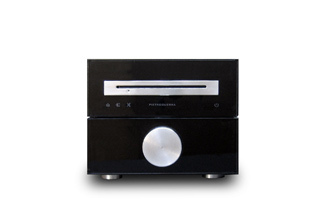 Another even smaller version (the FLeX 0) is available without the amplifier but with all the Media Center features.